Hey everyone, hope you are all well. 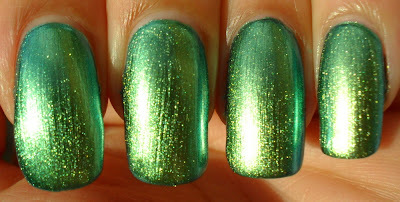 Today is metallic day of the 31 day manicure challenge, so I've decided to go for 'Metallic Green' by Peripera. This polish has a fragrance once it's dry, but for the life of me, I can't smell it (yes, I still have a cold). How are you all doing on your challenges? Pretty, reminds me of Peridot! This is one of my fave colors! It looks awesome on ur nails too! Pretty color, not sure it would look good on me. I'm doing a bad job. I cant keep up everyday but I'm determined to finish. 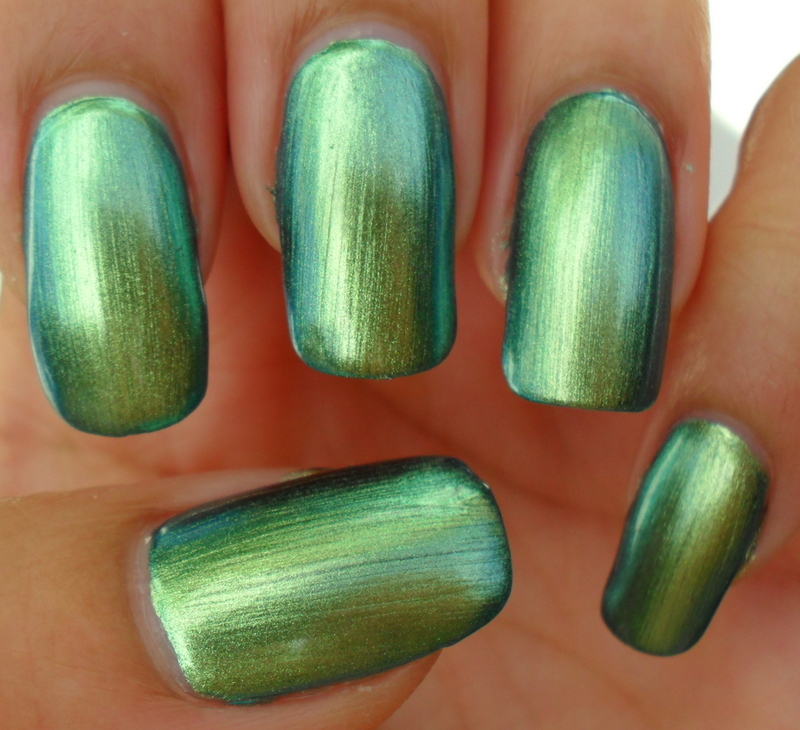 Omg I love this metallic :) !! That's the most special metallic I've ever seen! Wow!